Pomade has been part of my bathroom kit since I decided to adopt the classic side part hairstyle almost a year ago. As various gel, putty, paste and glue take up the miniscule shopping space allocated to men’s toiletries, I prefer to obtain my pomade online. Should you care to peruse further, a quick search on Amazon will reveal plentiful supply of the stuff. 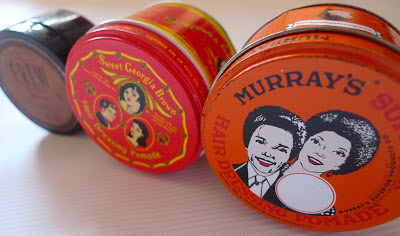 In my earnest search for a favoured brand, I have sampled three different pomades – American Crew, Murray’s Superior Hair Dressing Pomade and Sweet Georgia Brown. I would now like to run the rule over the pomades I have sampled thus far. 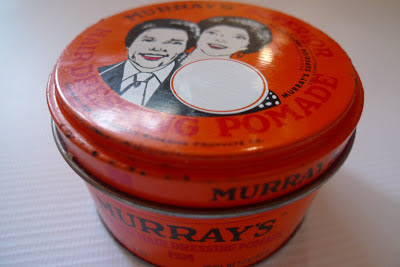 Established in 1925, Murray's is probably the most widely known maker of pomade. As a lover of old-style packaging, I will admit to being more than a little enamoured with their distinctive orange tin. My nasal passages were also rather taken with the delicious vanilla smell. Pros: Smells gorgeous, holds well, lasts a long time. Cons: Quite a hard pomade to work with and difficult to wash out. Ingredients: Petrolatum, Mineral Oil, Fragrance (Parfum). Sweet Georgia Brown has been slicking, smoothing and beautifying hair since 1934. It comes in three varieties – red, blue and purple. I plumped for the red tin. Its sweet smell is utterly divine and the bright yellow pomade is like a little bit of sunshine, albeit trapped inside a tin. Pros: Soft, sweet and cheap as chips. Cons: Sticky – wash your hands in warm water after use. Again, also troublesome to wash out. 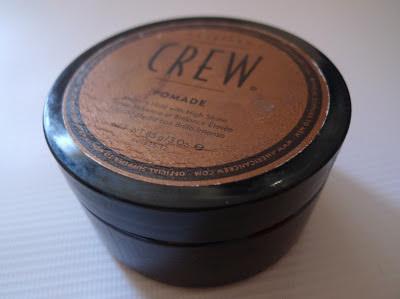 American Crew is a goopy pomade that describes itself as ‘medium hold with high shine.’ Unlike the other lighter coloured pomades I have tried, this is quite dark with an altogether different, although most agreeable odour. It also washes out easily too. However, be warned – this is the most expensive pomade I have seen and it's suspiciously entering hair gel territory for the shear amount of ingredients that it contains. Pros: Dark masculine colour, pleasing aroma, easily washes out. Cons: Expensive, can make hair look too shiny, not a very strong hold. Ingredients: Water (Aqua) (Eau), PEG-25 Hydrogenated Castor Oil (*Caster Bean), Oleth-10, Lanolin, Oleth-20, Diisopropyl Dimer Dilinoleate, Glycerin (*Coconut Oil), Hydroxypropyl Bisstearyldimonium Chloride, Panax Ginseng Root Extract, Salvia Officinalis (Sage) Leaf Extract, Quillaja Saponaria Bark Extract, PVP, Propylene Glycol, Fragrance (Parfum), Benzyl Salicylate, Butylphenyl Methylpropional, Citronello, Geraniol, Hydroxycitronellal, Hexyl Cinnamal, Hydroxyisohexyl 3-Cyclohexene Carboxaldehyde, Limonene, Linalool, Methylparaben, Propylparaben, Diazolindinyl Urea, Benzoic Acid. *Source. As a gentleman with rather thick hair, I need to scoop big dollops of the stuff which I smear on my head. It gives a lovely shine and keeps my thick waves in check. Pomade is almost impenetrable; I’ve worn it in heavy Manchester downpours, hailstone, snow and gale force wind. As you have discovered, with the exception of American Crew, traditional pomade consists of two basic ingredients – fat and fragrance. This somehow appeals to my simple desires. It is claimed that pomade revitalises the scalp which I’d certainly agree with based on my experiences. 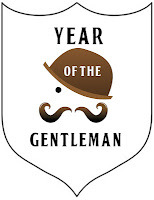 If you do decide to forge ahead and give pomade a chance, it is only fair to warn you about a couple of things first. Pomade is almost always a tricky blighter to wash out of your hair. This doesn't pose a problem if you're going to reapply more pomade but should you be thinking of sporting a shine-free look, it is advisable to use an extra strong clarifying shampoo. Care should also be taken to wash your hair before retiring to bed otherwise your pillow case is at risk of staining, particularly noticeable with the Sweet Georgia Brown. In my humble opinion, Murray’s is the best of the bunch. However, if you’re financially challenged, Sweet Georgia Brown is a little kinder on the old wallet. American Crew contains too many ingredients for my liking and combined with the hefty price tag and lack of hold, I think there are better options available.